He is without parallel in American history, a figure virtually forgotten in the vast, expansive territories to the north of the Rio Grande, but as notorious and well remembered to the south as any conquistador, marauder or murderer in a long history abounding with dictators and pirates, plunderers and thieves. Between the close of the Mexican War in 1848 and his execution on the vast and lonely beach of Trujillo, Honduras in 1860, William Walker’s popularity in the United States paralleled that of Kit Carson and Walker’s fellow Tennessean, Andrew Jackson. 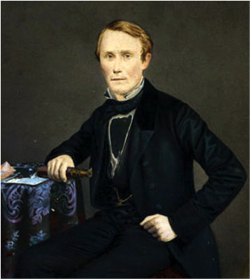 Today, in the early years of the 21st century, Carson’s and Jackson’s names still conjure recognition as 19th century doers and men of action: pathfinders and Indian fighters, soldiers and explorers intrepid in the relentless American expansion to the West; but likewise today even in William Walker’s native Tennessee, his name evokes little more than marginal recognition and consideration as a strange anomaly, a curious cipher and shape-shifter, a queer, black-clad Mars-like Napoleonic figure who ventured from Nashville during the age of Manifest Destiny and, eventually, with a ragtag band of adventurers and soldiers of fortune managed to set himself up as the soi-disant President of the Republics of Baja California and Sonora (Mexico), and then as the legal President of the Republic of Nicaragua. Had he not made the grievous error of enraging Cornelius Vanderbilt—at that time one of the wealthiest, most powerful private citizens on earth—then his tenure and territory may have been longer and more encompassing. Though now all but forgotten in his native United States, it is fair to say that in Nicaragua, Costa Rica, Honduras and other nations that waged an allied war against him, the name William Walker evokes an immediacy and resonance as sinister and, for them, more haunting and ubiquitous than that of Adolph Hitler. Website design by Flek, Inc.